Turning 18 for most young people is an exciting time, marking one’s entry into adulthood as hopes and aspirations for the future seem ripe for the taking. But for Silje Owre of Norway, that was not the case. According to her father, Silje was worried about reaching this milestone age because it meant she would have to transition into the nation’s adult mental health care system. She had heard things about adult psychiatry’s unbridled reliance on powerful psychopharmaceuticals to “treat” emotional or psychological problems and to administer psychiatric drugs when the physical sources of a person’s problems were either undiagnosed or not properly addressed with actual physical handlings. Diagnosed in 2006 at age 14 with chronic fatigue syndrome, as well as a lesion in a part of the brain responsible for emotions, the once active, vivacious child suddenly became bedridden and at times even unable to feed herself without assistance. This went on for the next two years, until her physical and mental health started to improve. Silje’s dad, Espen Owre, 46, attributed her turnaround to the kind of help she received from a team of pediatric specialists. Not long after undergoing surgery in fall 2011 to remove a cystic brain tumor described as being small and benign, Silje survived a suicide attempt on New Year’s Eve after jumping off a bridge that stood more than 20 feet above a highway. She suffered multiple bone fractures and spent three months at Sunnaas Rehabilitation Hospital. As she consistently struggled with bouts of depression and emotional instability, a report shows that between 2010 and 2012 Silje had multiple “episodes of self-harm” such as “severe cuts in the wrist for suicide and serious suicide attempts with drugs” that included an August 2010 trip to the emergency room after a prescription pill overdose. Nonetheless, on the day of her fatal heroin binge, the ward’s supervisors—psychologist Knut Erik Duna and his boss, psychiatrist Geir Ebbestad—gave Silje a day pass, ostensibly to attend school. Following his daughter’s suicide, Espen Owre demanded Parliament initiate nationwide reforms of the Norwegian mental health system. The day after Silje failed to return to the hospital as scheduled, her mother called the ward and wasn’t “informed that the patient had not come back after leave the day before,” according to the report. Silje was reported missing to the police on November 6. “Police and a priest came to their home about an hour later stating that their daughter was found dead,” the County Governor’s report stated. Silje’s mother, Lise, ended up being the one who informed the hospital that Silje had committed suicide. Espen Owre’s grief soon shifted to outrage aimed at what he saw as a dysfunctional mental health system. Owre filed a complaint against the hospital with the medical oversight office, and he and Lise took to the airwaves as the national news media flocked to the story. 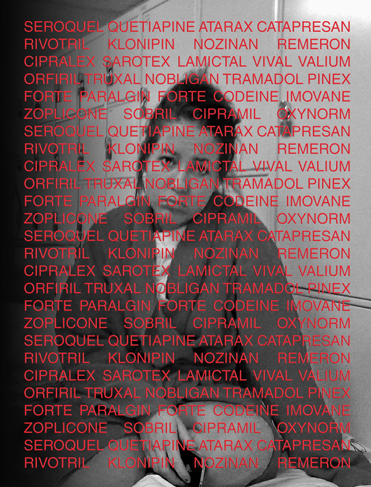 Eight of these medications—Seroquel/Quetiapine, Remeron, Cipralex, Sarotex, Lamictal, Nobligan/Tramadol, Imovane and Cipramil—are known to increase suicide risk, especially for children and young adults. The European Medicines Agency’s scientific committee, the Committee for Medicinal Products for Human Use, reviewed the use of antidepressants in children and adolescents in 2005, and concluded that suicide attempts and suicidal thoughts were more frequently observed in clinical trials among children and adolescents treated with certain classes of antidepressants. Both Cipramil and Cipralex fall into this category of drugs. After a year and a half of a heated back-and-forth between the findings of the government medical experts, Oyvind Watne and Tor Ketil Larsen—who exonerated the hospital and its staff from any wrongdoing—and the Owres’ detailed rebuttals, an unprecedented outcome occurred. Before she was put on massive doses of 18 psychiatric drugs, Silje Owre was an intelligent young woman with a bright future. In September 2013, activist Hans-Erik Husby joined Espen Owre at the front of a protest march that brought demands for reforming the mental health system to the steps of Parliament. Formerly known as “Hank von Hell,“ lead singer of the raucous rock band Turbonegro, Husby detailed his own experience with Norwegian mental health care as a recovered drug addict who went through mainstream rehab regimens that utilize psychotropic drugs. “I discovered that there are alternatives to handling man’s problems in life, rather than just drugging or using brute force to make man ‘behave,’“ he said in an email to Freedom. Largely as a result of CCHR and the Owre family’s activism, there were indications of government action toward shifting mental health care away from its dependency on drugs. By the latter part of 2014 the Parliament’s Health Committee Chairwoman Kari Kjos and national Health Minister Bent Hoie had called for drug-free treatment options. Kjos also authored a bill that prohibits primary care doctors from prescribing antidepressants to patients younger than 25. In December, Norway’s most populous health care region, which includes Oslo, directed doctors and staff members to implement measures aimed at improving access to drug-free treatment as well as improving the documentation of psychotropic drug prescriptions and side effects. Additionally, the Hamar region became the first health care sector to roll out a model for drug-free mental health care. As a key starting point for effecting change in the mental health system, Espen Owre noted the simple efficacy of placing greater emphasis on compassion and communication instead of the guesswork-style prescription practices that dominate contemporary psychiatry, coupled with the wall of patient confidentiality that shuts loved ones out of the healing process.